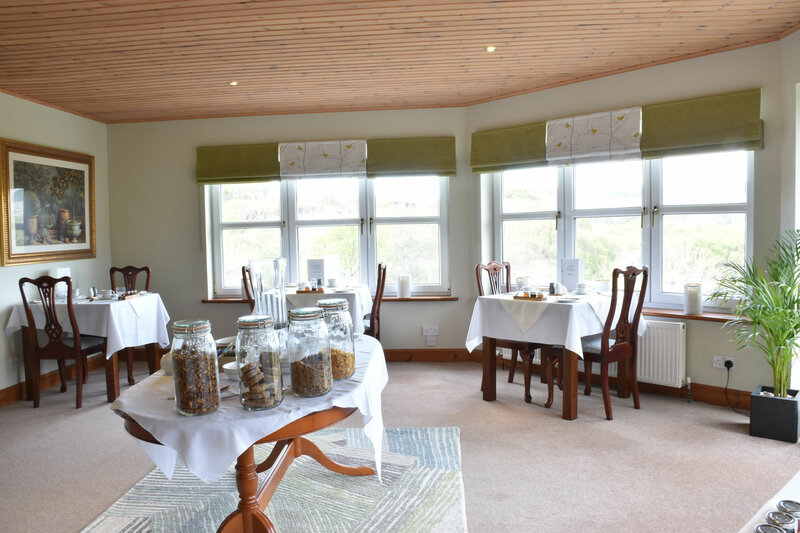 Our Guest Restaurant is situated at the end of the Hallway as you enter Killoran House and on the far left hand side as you look at the building. 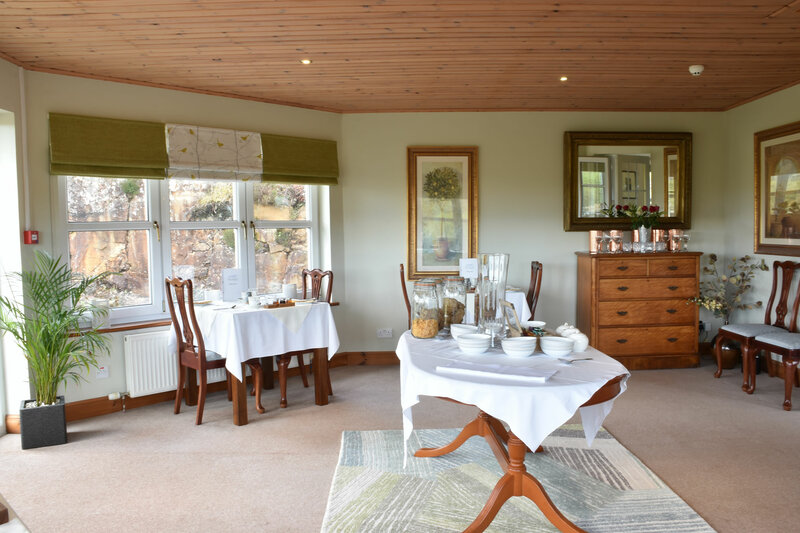 There is seating for all of our Guests with different views over our Garden, or the Loch or the village of Dervaig and the hills in which it sits. 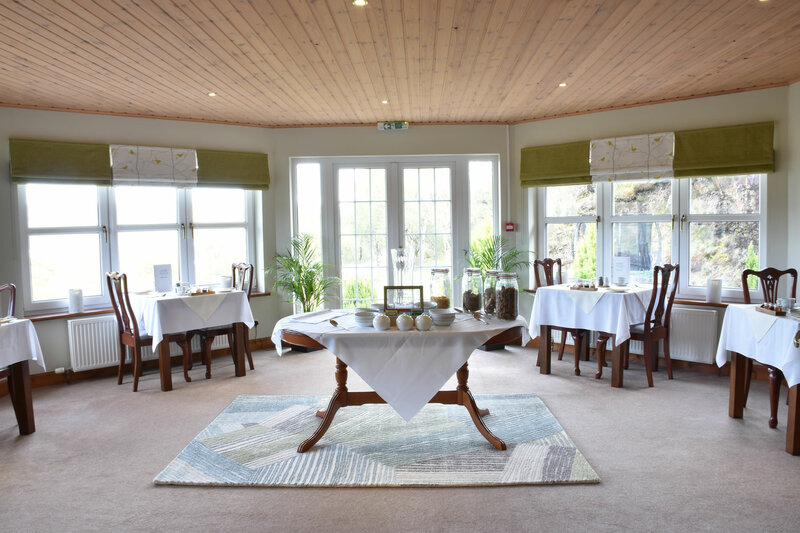 A very relaxing and peaceful room perfect for enjoying your Breakfast with us.